Wow. Well....here we are. My locs at 18 months. It's been over 2 months since I've combined them and I was in a serious I don't like my locs rut. It didn't show though. I still took care of them, rocked some styles, jazzed them up with yarn got motivated by fellow loc'ers. I can't stress this enough--loc'ing is a journey. It ain't all cupcakes and sprinkles and that's okay. The good news is, I'm kinda liking my locs again. Not head over heels in love with them like I was before but I now know how to take a "Your locs are gorgeous" compliment without scoffing. I'm figuring out that less is more. I know, I know...I should have known that a looooong time ago. Loc'ing is about simplifying and I've just made the whole process a lot harder than it needed to be. Typical B. I don't have any regrets though, only learned lessons and the desire to share them with y'all. Soooo, for the first time in a while, I re-twisted. 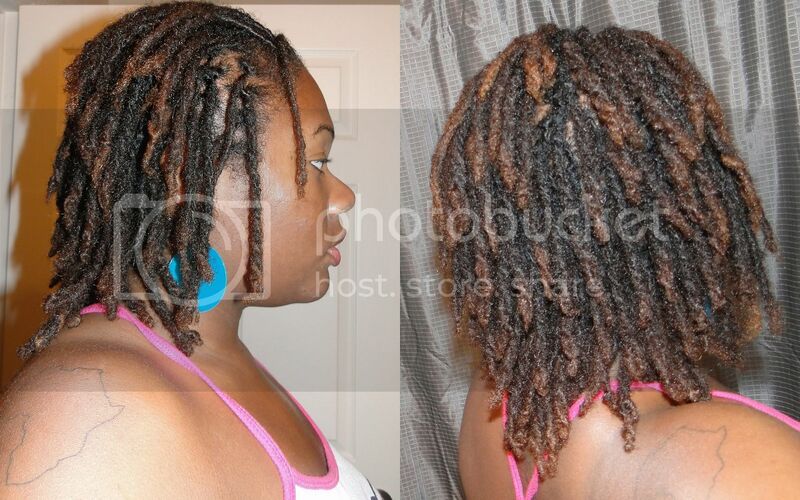 Since I've been swimming a lot, I haven't been re-twisting more than the first two rows of locs. I finally took out all of the rubber bands and the locs are still looking like 2-strand twists but I've gotten over it. This girl took a look at my locs the other day and was like, "They're looking good. How old are they? 6...7 months?" #agefail And I still want some color but I'll wait a few months for that. Came up with a new hair style! I call this Dino. It's 4 flat twists in the front and a loose basketweave in the back. I'm diggin' this updo. And it only took 5 bobby pins! I'm getting better. And I did a video on how I re-twist my locs. Tis all for the 18th month! 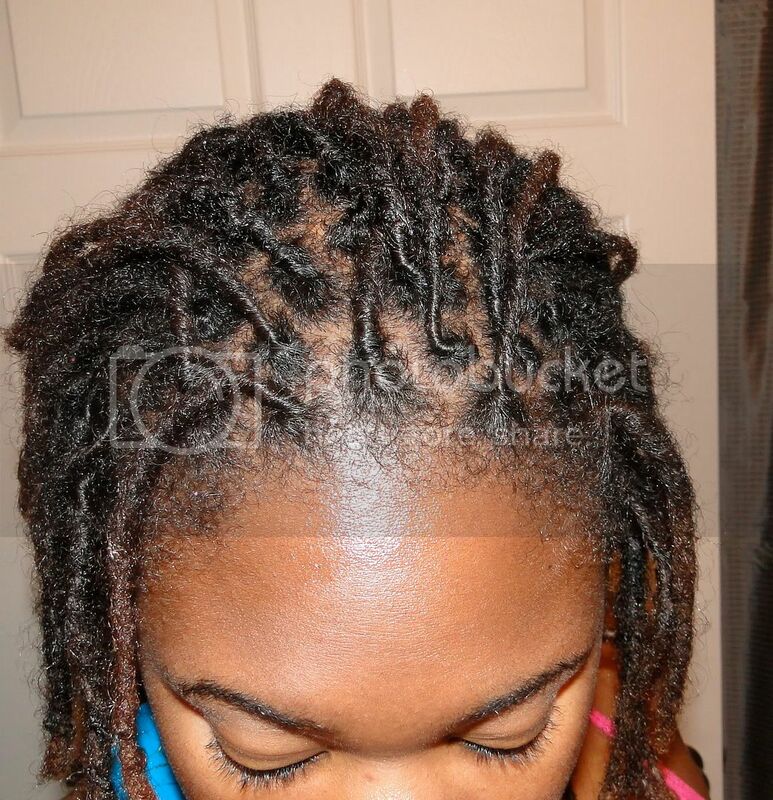 I think your locs look like locs that have been two-strand twisted, not baby locs at all. And they look really healthy. So, I love em! That updo is hot. I think I'm going to try that later today. I have yet to do a full updo but I think they're so regal. That updo is gorgeous. Do you have instructions on how to do it? 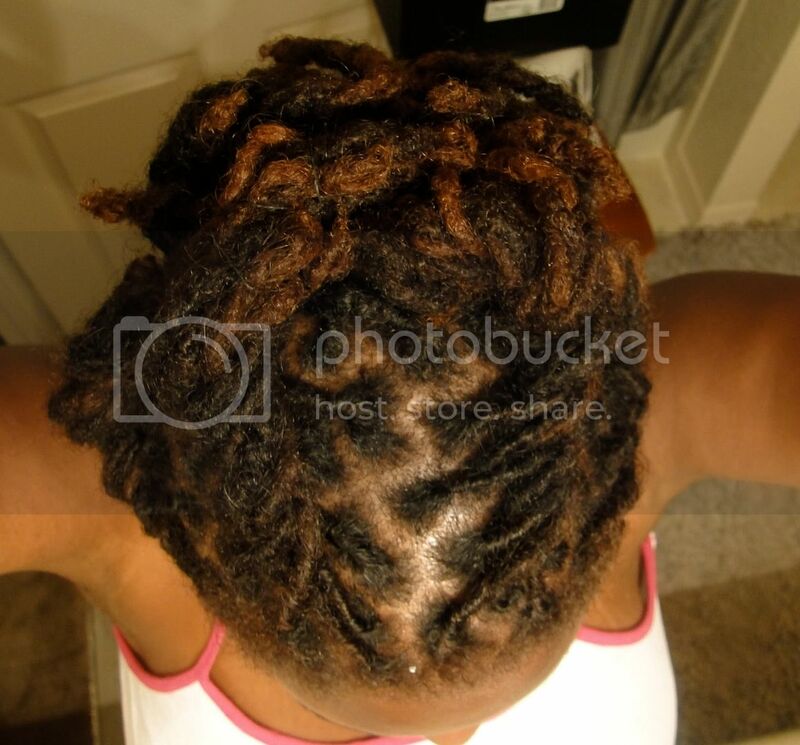 B---> Girl, yes...I was like, "Baby locs...really?" Pfft! If you try an updo, let me know how that it turns out!! T'arr.a Lu---> Hang in there, sis! And thank you so much. I tend to love my locs a lot more when they are in funky styles and I can't see those combined locs. 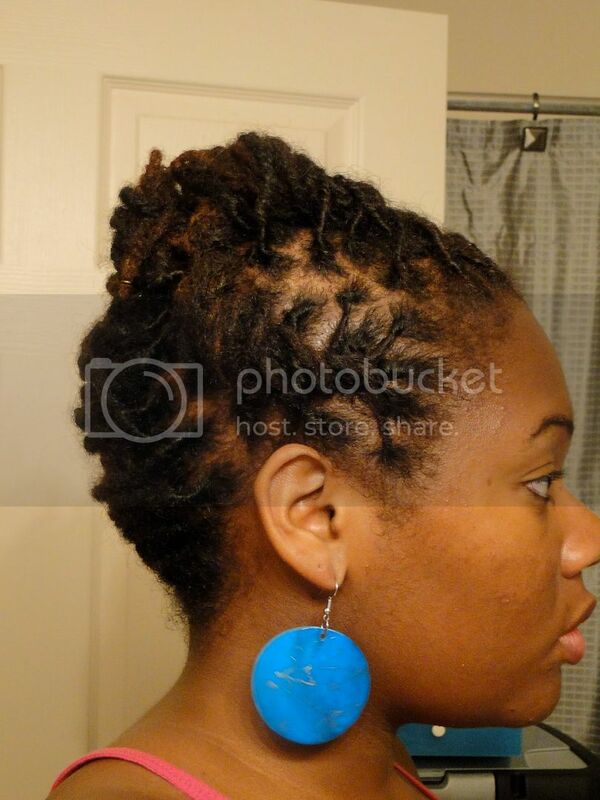 i actually like the two-strand twisted look on mature locs - especially in the updo. looking hot! This video was very helpful. I love your locs. 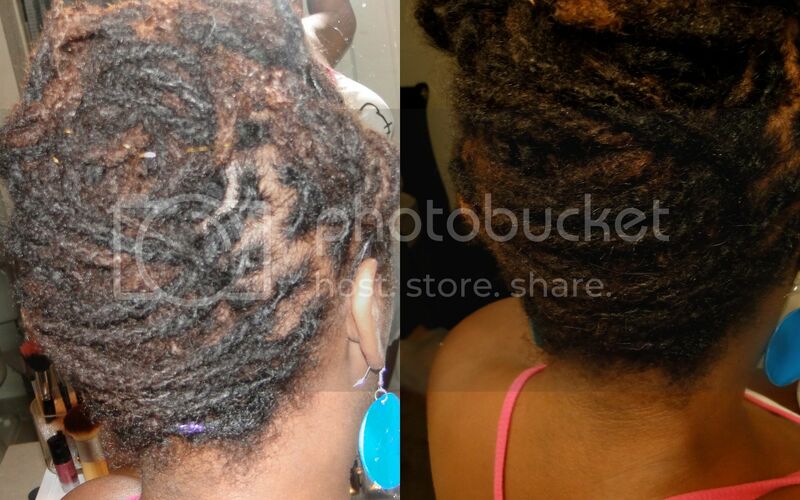 The Organic Root Stimulator Loc and Twist Gel didn't work well for me.It was flaky and gunky. My friend suggested the Jamaican Mango and Lime. I just started my locs (one month tomorrow) and I've been getting it done ever 2 weeks at the shop. I already see it is gonna be a process. PS I used to love the Dinosaurs. hey b--congrats on 18 months! your hair is looking fabulous and your updo is really cute! i've got to post a couple of stylin' vids or entries on my blog soon. take care and blessings! 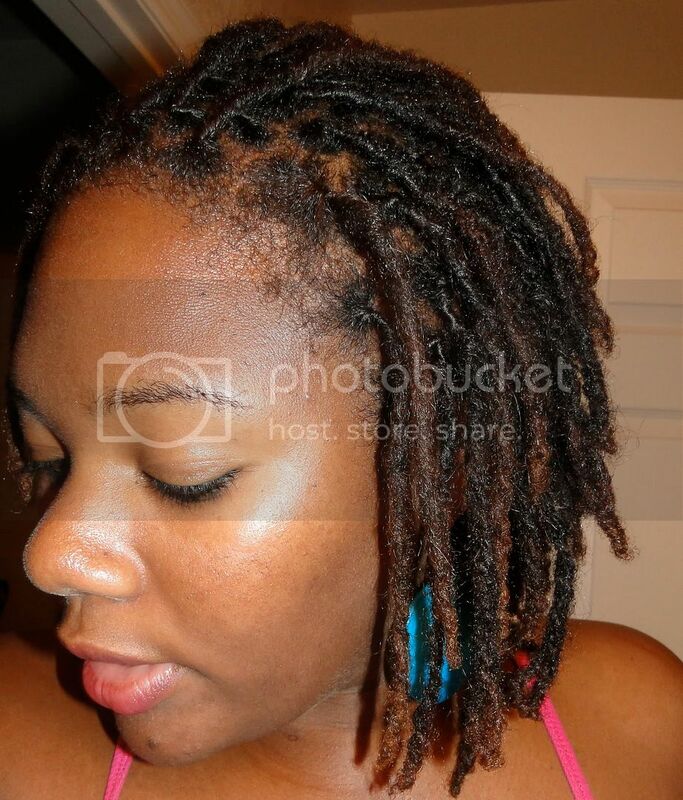 Your locs look beautiful! Loving the Dino! And I do remember that show, the baby dinosaur always said "Not the mama!" LOL :) Anyway, thanks for sharing how you re-twist and the "Dino!" I'm LOVING the Dino style. Too cute!! I wanna try it with my longer hair but I'll have to figure out what to do with the hair in the middle. If I try it out, I'll let you know. Oh yeah, check out my summer updo at http://imdippedinhoney.blogspot.com/2010/06/summer-updo.html. Dino is very cute, everytime you do a style, it reminds me how I'm just snoozing on the styling front. I vow to change this summer Lol! Lookin' good! Lovin' the Dino! BTW, I love the video tutorial...and yes, I remember the show Dinosaurs! I think it came on ABC Friday nights. "Not the Mama!" LOL! and if you twist and braid, it eliminates the need for clips, and you get a nice kink when the hair dries. Your updo is absolutely gorgeous.